It’s been a long, hot summer full of great cruising, (just mosey over to Nordhavn Live, Traveling Nordhavns, or the Nordhavn Blog page for examples). Perhaps the accounts of these high seas voyages have served as inspiration for you to someday make your own Nordhavn adventures. If so, now’s the perfect time to get your research started with the advent of the Fall boat show season. This month marks the kick-off to boat browsing, and no matter which side of the country – or the pond – you happen to be on, there’s a Nordhavn to be seen and talked about. A few years after the Nordhavn 50 was retired in 2005, a funny thing happened: it became one of the most sought after boats on the brokerage market. Nordhavn Europe Ltd. (NEL), Pacific Asian Enterprises’ (PAE) first international office, opened its doors in the Spring of 2004 – and the brand couldn’t have picked a more ideal time to establish a European sales presence. With four new orders in 2016, things are humming at Ta Shing, our partner factory which produces the 76 and 68 models. The factory’s already active production schedule was bolstered by the new sales; hulls 33 and 34 of the 68 project, as well as N76 hulls 25 and 26 have been sold and added to Ta Shing’s build queue. 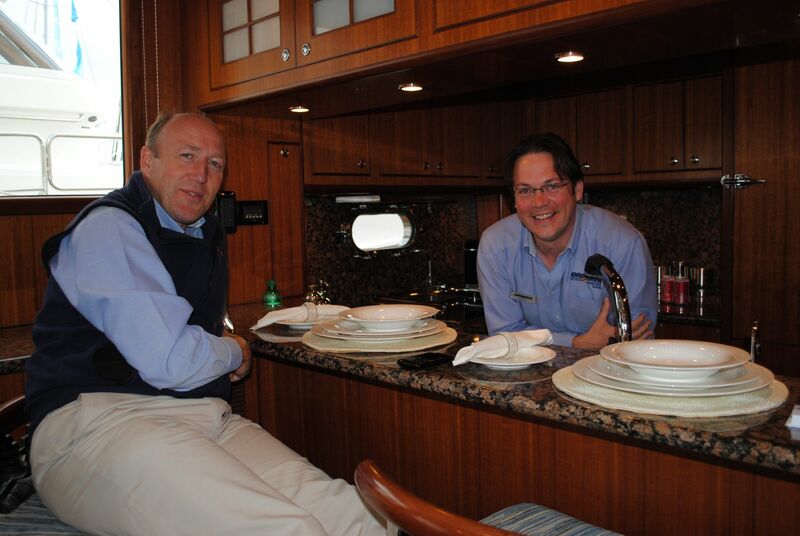 This month’s featured blog is one of the most well-known Nordhavn blogs ever published. It comes from Nordhavn 68 owner Ken Williams, a long-time and very active Nordhavn owner who keeps a very thorough journal of his and wife Roberta’s comings and goings, cruising tips, maintenance tips, quick-hits on geography and history, pictorials, and musings – pretty much your all-purpose adventure-seeking, soul-enhancing life-on-a-boat inspo.